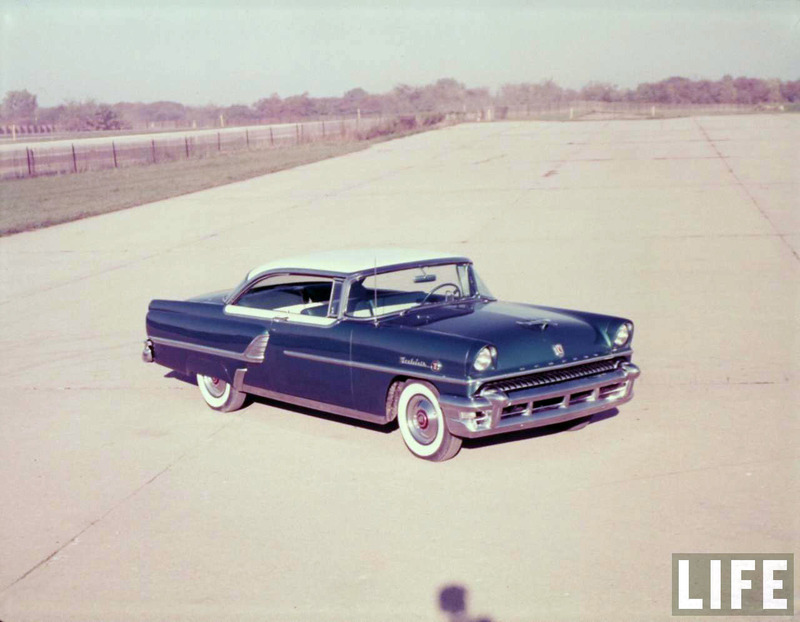 Some time in 1954, Life magazine photographer Yale Joel ventured to an unknown destination. 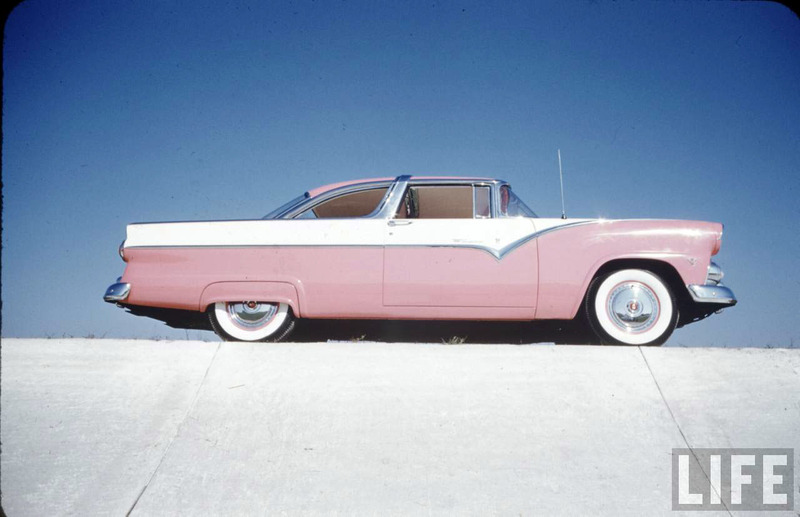 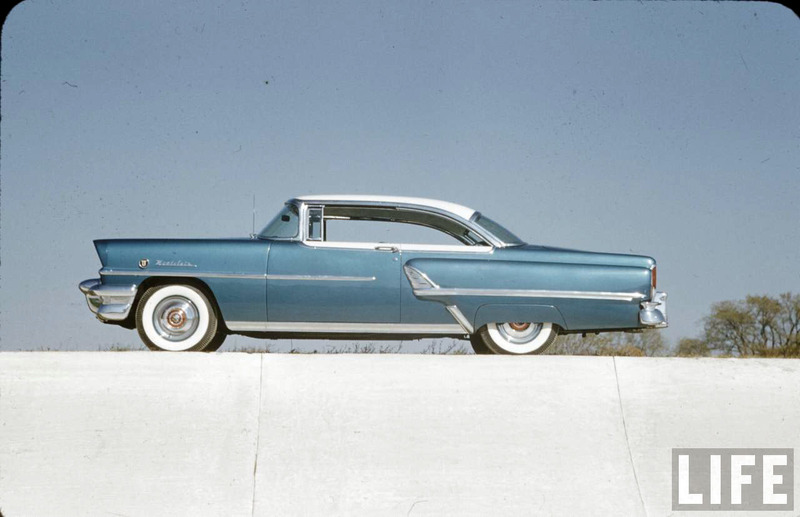 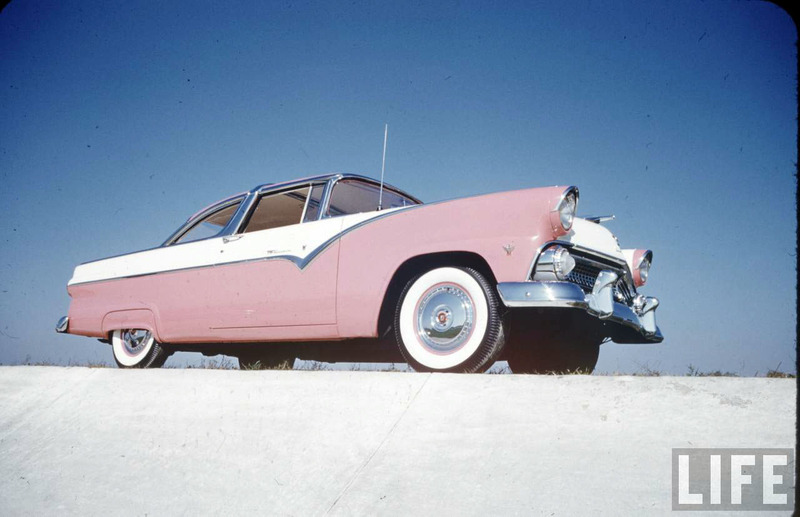 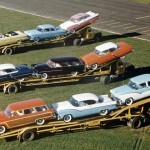 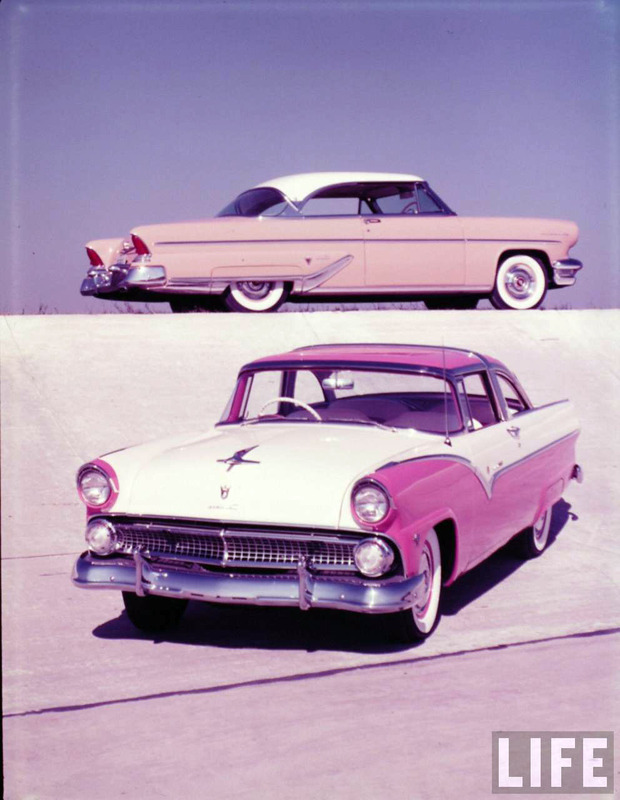 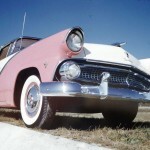 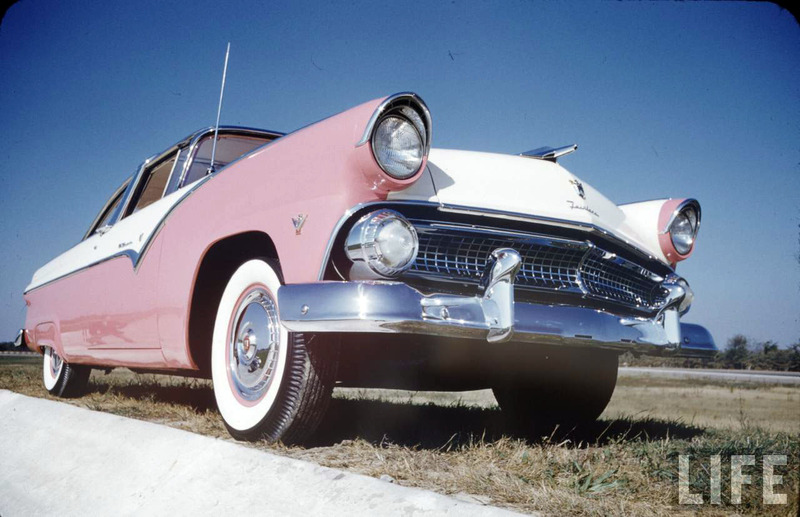 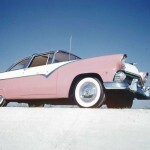 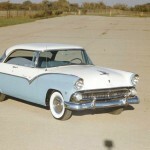 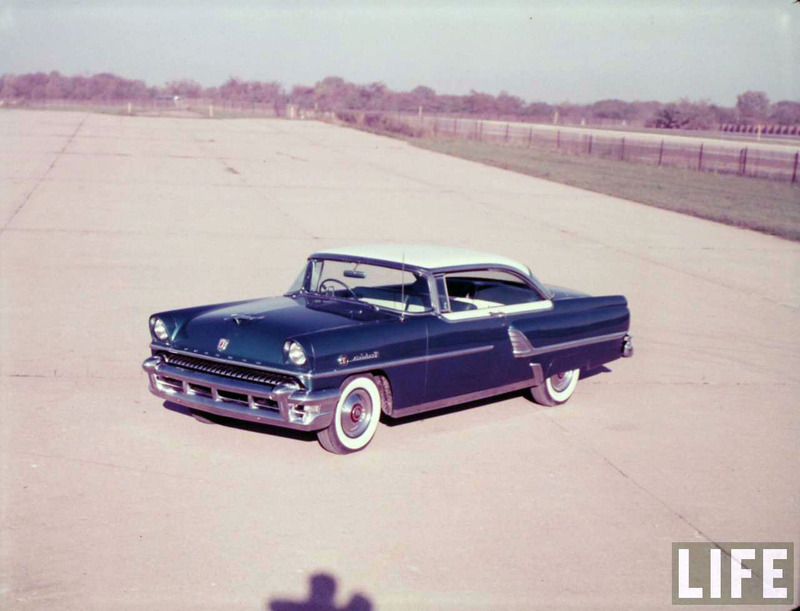 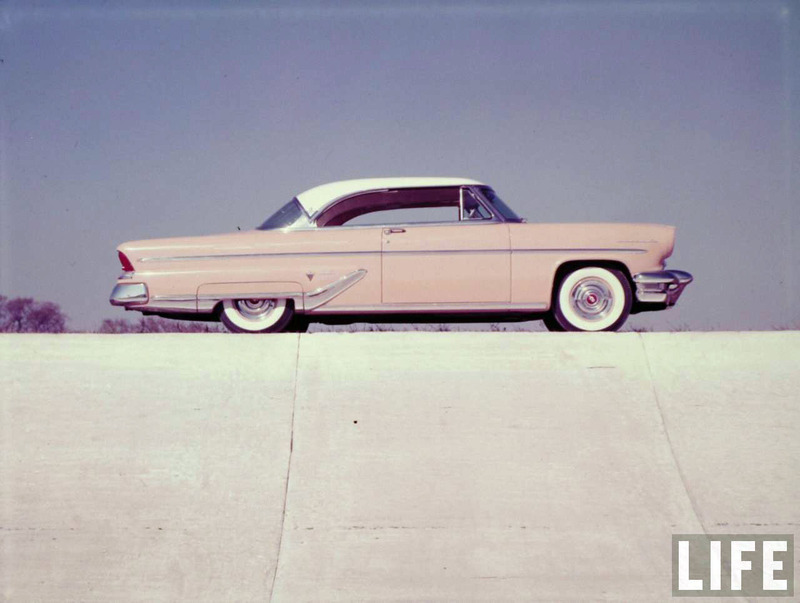 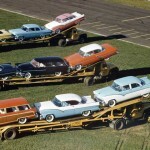 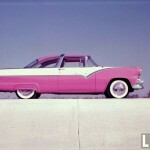 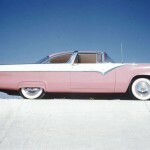 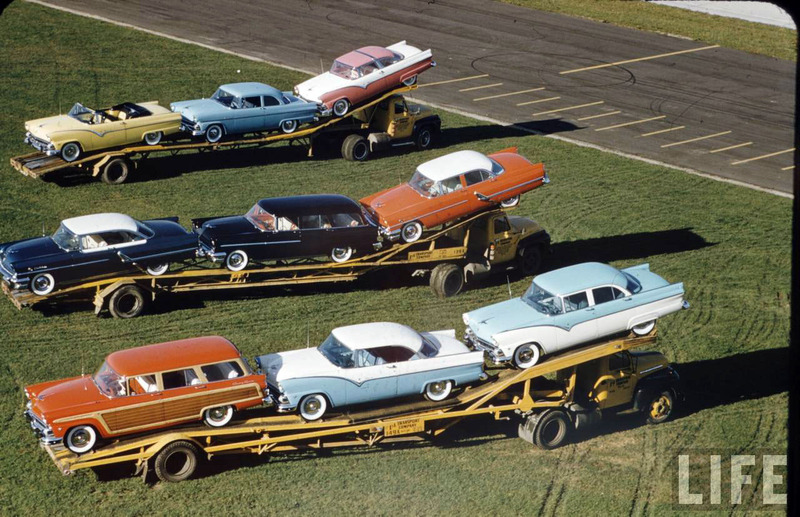 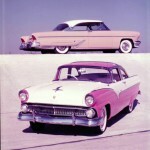 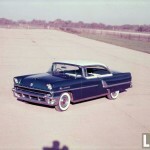 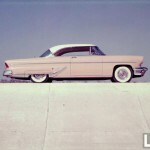 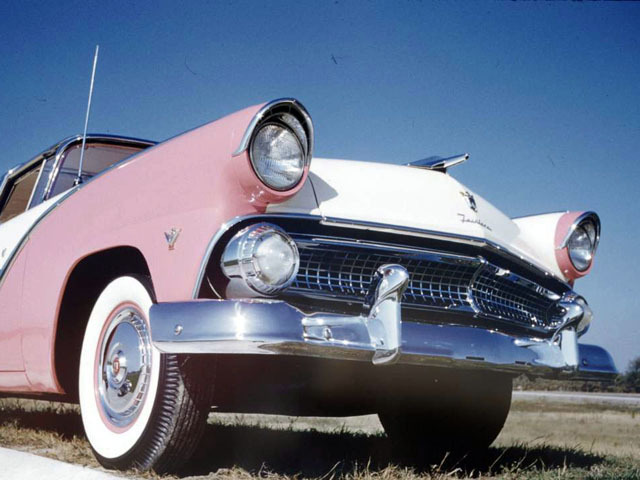 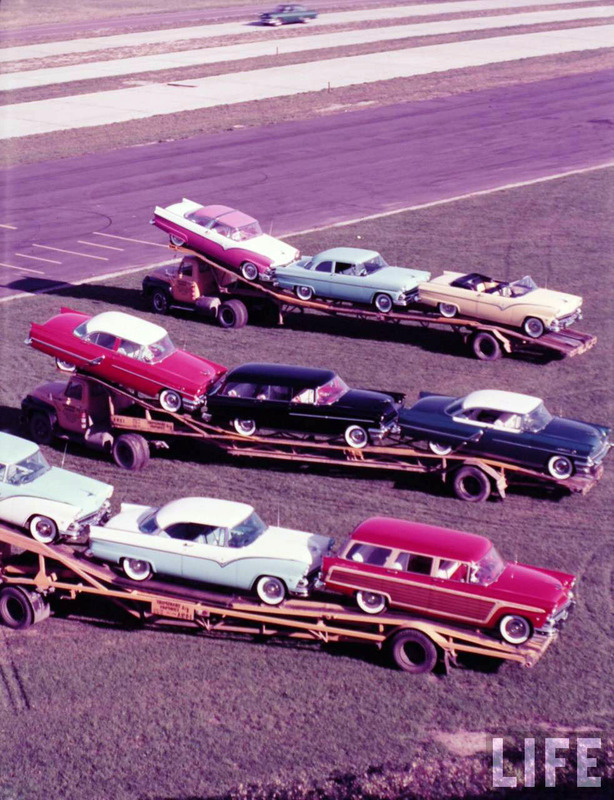 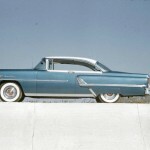 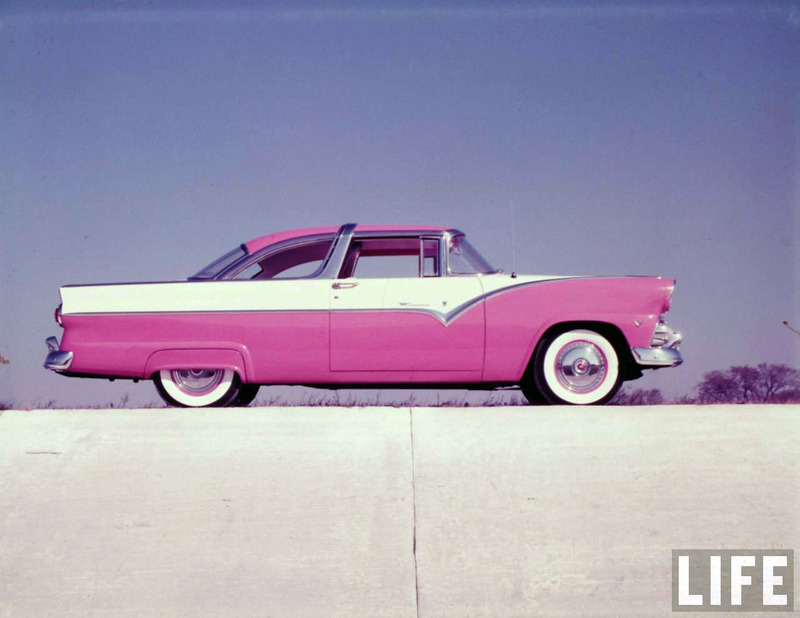 His assignment was to photograph a group of brand new cars — 1955 Ford and Mercury models, to be precise. 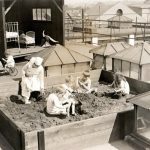 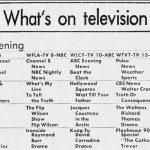 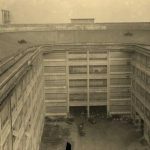 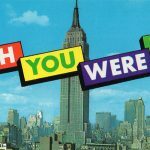 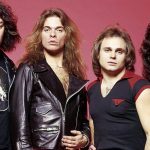 I don’t know how many of these pictures ended up in the magazine, as I’ve been unable to find any associated article in the Google Books archive, but some of these are real stunners. 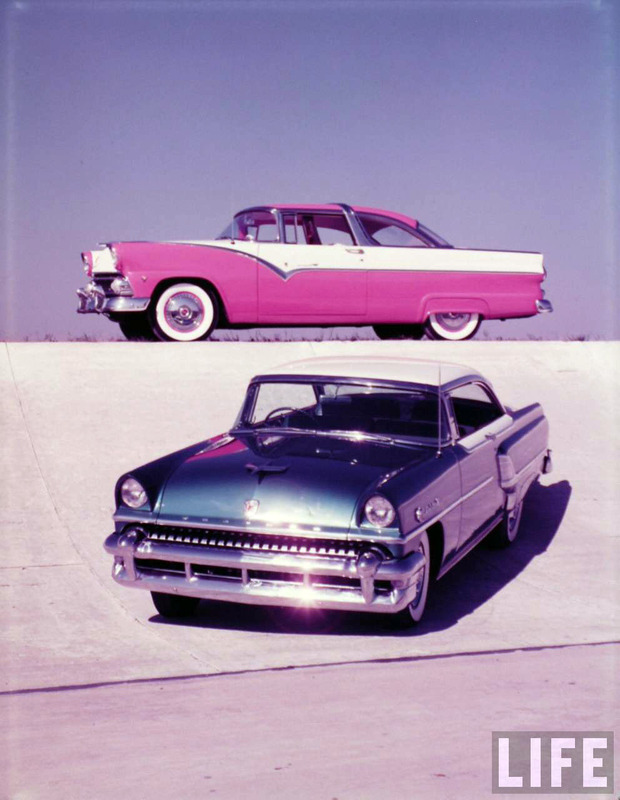 I wasn’t sure at first if these were actually 1954 models, but the dead giveaway was the distinctive look of the ’55 Ford Fairlane. 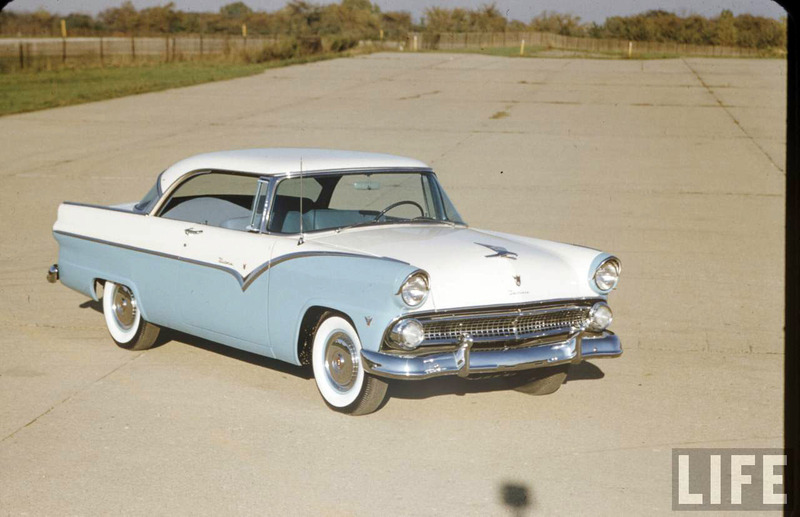 That stainless steel Fairlane stripe on the side was what tipped me off, as the Fairlane debuted in model year 1955 (replacing the Crestline). 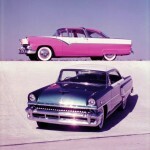 Also present — as far as I can tell — are the Mercury Montclair and Monterey, as well as a Ford station wagon. 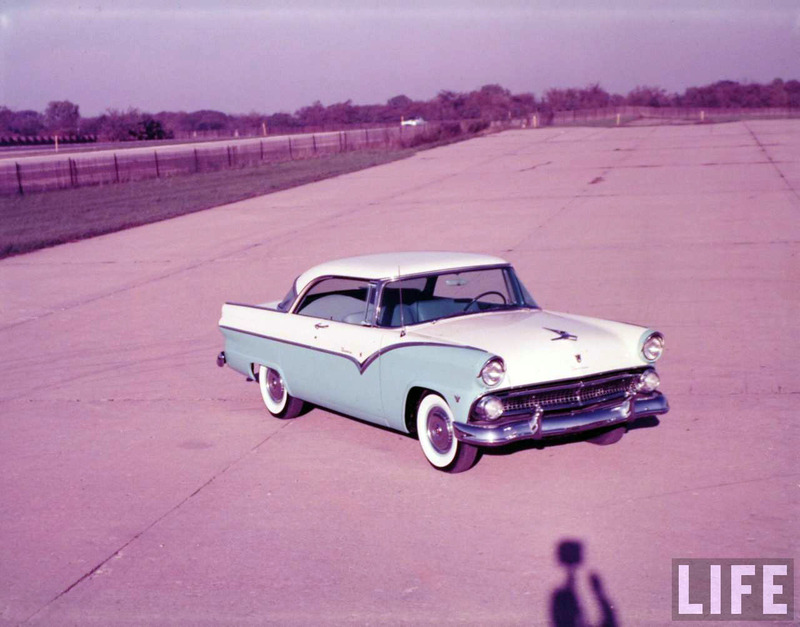 Owing to the fact that these are raw photos from a session, some of the pictures do look very much alike. 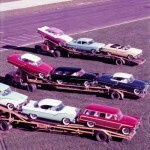 But hey, one can never have too many vintage car photos if you ask me. 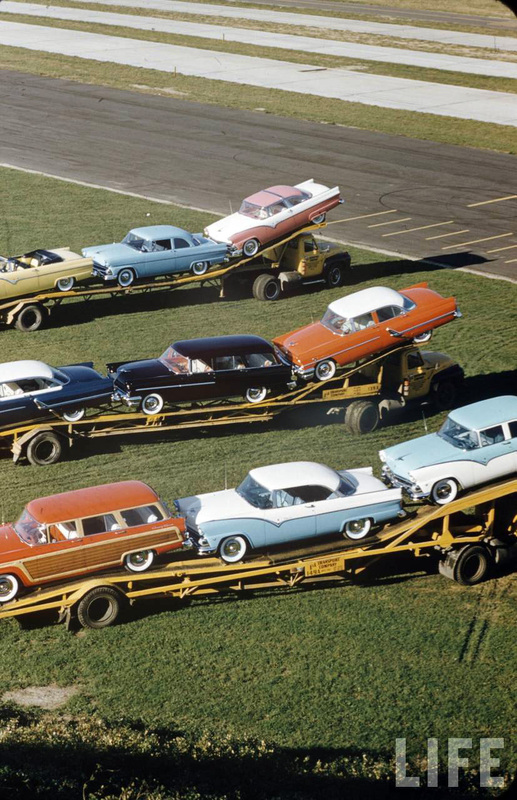 If you enjoyed my recent retrotisements gallery for the 1960 Ford lineup — and I know you did — this will be right up your alley. 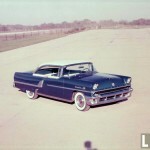 If any car buffs can verify the model or trim for specific photos please let me know! 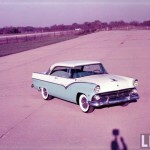 "1955 ford models", "ford mercury 1955", "1955 mercury montclair production", "photos of 1955 fords", "what car models did ford make in 1955"